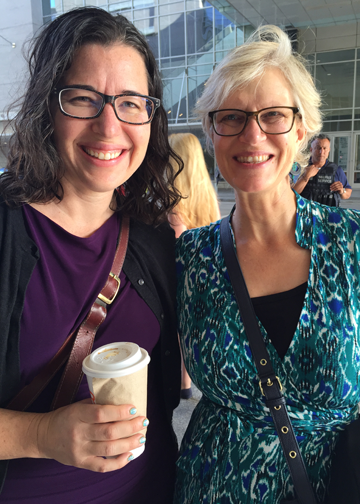 Marilyn Watkins, Economic Opportunity Institute, and Andrea Paluso, Family Forward Oregon — with 5,000 other people waiting to go through security. It was a privilege to be invited to attend the White House Summit on the United State of Women, held July 14-15 in Washington, DC. 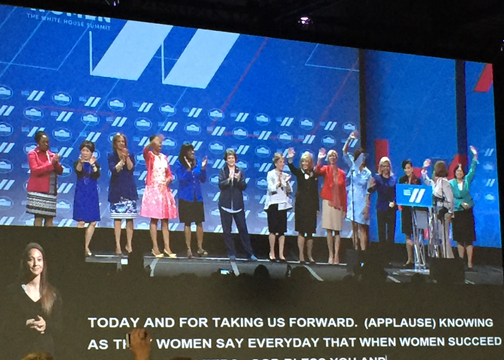 Just being in a room with 5,000 people – mostly women – who are working to promote the economic and political empowerment of women and girls across the country was inspiring. The program was packed with high-profile names, including President Obama, Vice President Biden, First Lady Michelle Obama, Nancy Pelosi, Warren Buffet, Oprah Winfrey, Amy Poehler, and many more. Equally impressive were a number of women and girls doing amazing things, including a survivor of campus sexual assault who has become a leader in changing campus culture, the 11-year-old CEO of a lemonade company who introduced the President, and Ariana Davis, a grocery store worker and UFCW member from Washington state who is citizen sponsor of Initiative 1433 to raise up Washington’s minimum wage and assure that all workers earn paid sick days. House Democratic Leader Nancy Pelosi declares, “When women succeed, America Succeeds,” introducing other women members of Congress. Molly Moon, Seattle founder of Molly Moon’s Homemade Ice Cream, saying you shouldn’t have to win the boss lottery to have paid sick leave and paid family leave. 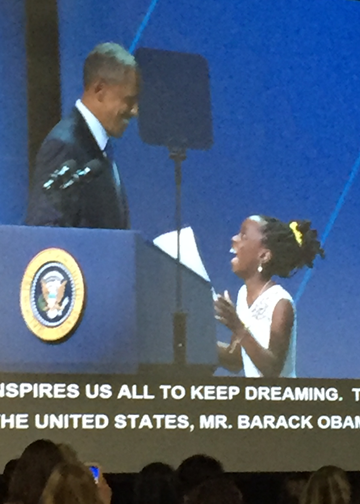 Mikaila Ulmer, 11-year-old CEO of Me & the Bees Lemonade, introducing President Obama. An event the following day in the Capitol Building promoting the Healthy Families Act, with lead sponsor Senator Patty Murray, featuring remarkable stories from workers, business owners, and activists highlighting the momentum from paid sick days victories around the country and the need for federal action on paid sick days and paid family and medical leave. Strategizing with many friends from the Washington Work and Family Coalition, Family Values @ Work, and allied organizations on amping up our own work to achieve paid sick and safe leave and paid family and medical leave for every worker and every family in Washington state and across our nation. The diversity of backgrounds, voices, and issues gathered for the Summit highlighted the far-reaching inequities of race, class, and gender that continue to plague our society – and the trauma many people experience as a result. But everyone I talked to came away with a strong sense of unity and hope, a faith in our power to make change – especially when we listen to each other and take risks, and a renewed commitment to work together for a better tomorrow for us all. 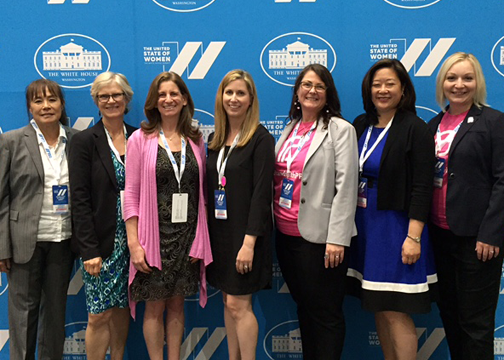 A few of the awesome participants from Washington: Betty Lock (U.S. Women’s Bureau), Marilyn Watkins (EOI), Rep. Tana Senn, Jennifer Mumm and Jennifer Allen (Planned Parenthood), Janet Chung (Legal Voice), Courtney Normand (Planned Parenthood). A visit asking Congressman Denny Heck to sign on to the Healthy Families Act – which he agreed to do! 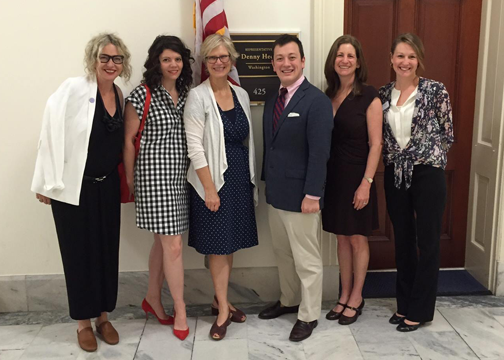 – with Linda Derschang (The Derschang Group), Molly Moon Neitzel (Molly Moon’s Homemade Ice Cream), Marilyn Watkins (Economic Opportunity Institute), Erik Ashida (Congressman Denny Heck staff), Rep. Tana Senn, and Hillary Soens (YWCA of Olympia). 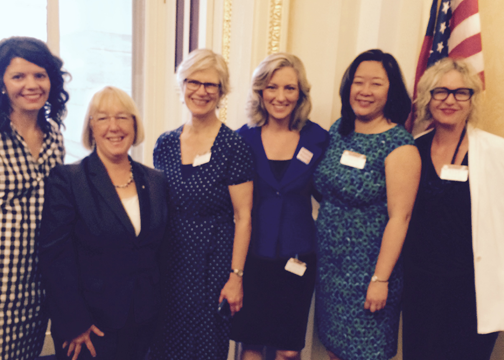 Supporters of Paid Sick Days for all workers – Molly Moon Neitzel, Senator Patty Murray, Marilyn Watkins, Kristin Rowe-Finkbeiner (MomsRising), Janet Chung (Legal Voice), Linda Derschang.